Only guys would build a huge fire in 100+ degree TN heat. 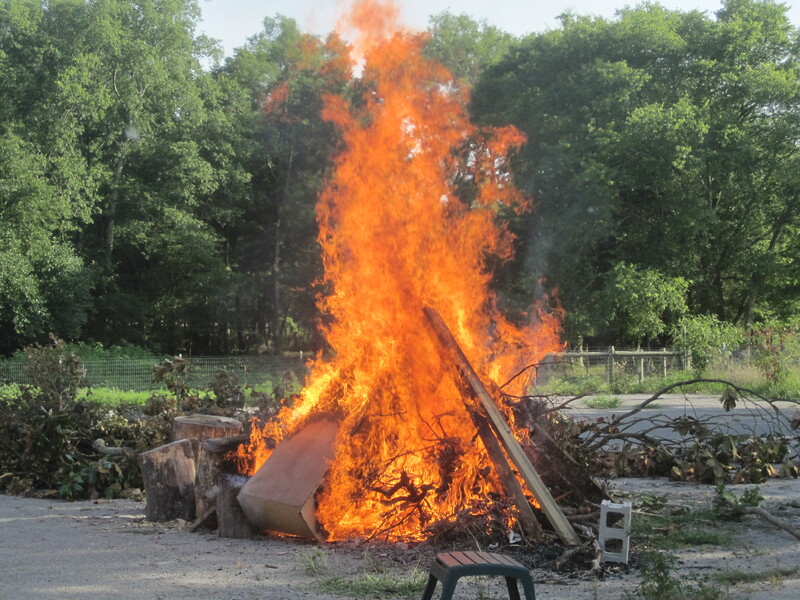 A few dads and the kids had some time to kill and one spark is all it took to light this brush pile. These flames are actually close to 15 ft in the air. 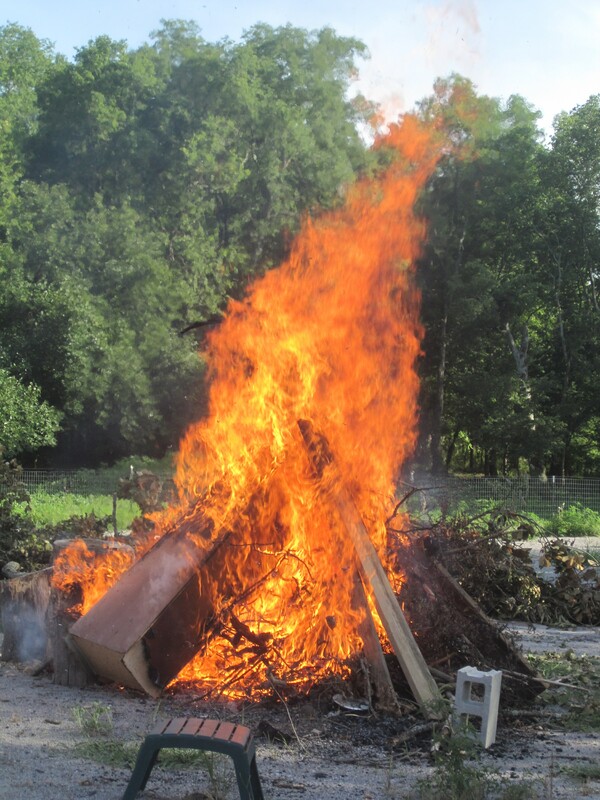 For reference, the box like structure in the left side of the fire is a six-foot tall storage cabinet. The entire pile burned to ashes in about ten minutes or less.